Even as I post this, I was absent-mindedly whistling 'Winter Wonderland' which had just been playing on NPR. 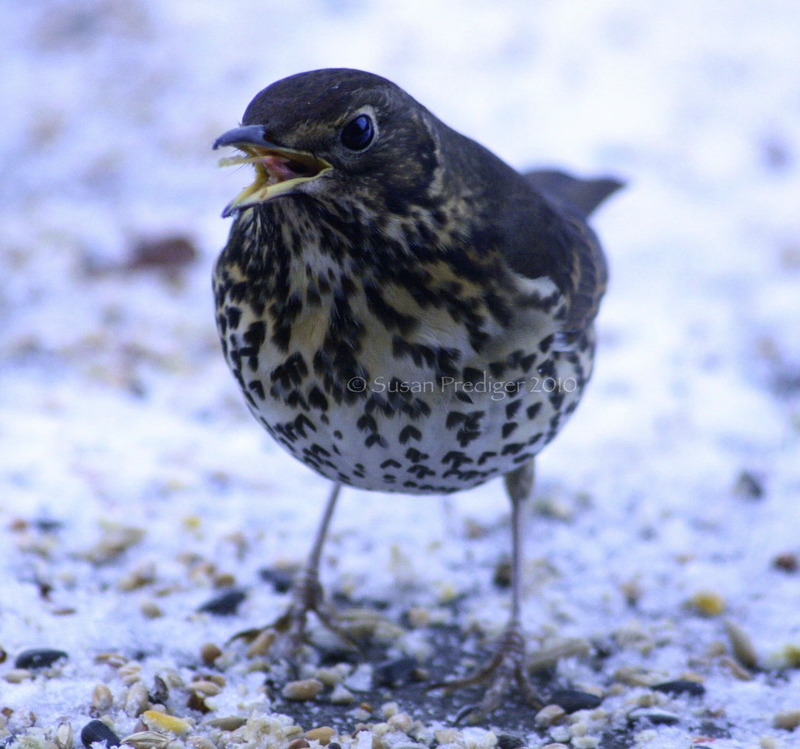 When I stopped, a thrush is outside my window carried on, repeating the same note I ended on. Apparently they imitate lots of noises that they hear. Strange experience as it is still quite dark outside and I couldn't see him at first, so I didn't know who (or what) was singing along.